You’re standing in an art gallery filled with paintings. What draws your eye toward a particular canvas? It might be the vibrant colors or the naturistic scene … but something makes it stand out, right? Believe it or not, it’s similar for talent acquisition – you must find your own unique way to stand out if you want to be noticed by the best job candidates. Before the War for Talent, the candidate was the one who had to stand out to the company, whereas now it’s the opposite – companies must go the extra mile to appeal to candidates. In today’s labor market, identifying, attracting and hiring qualified talent has become very challenging. More than 90 percent of all surveyed leaders in a recent study say that talent acquisition is a top priority, so it’s no surprise that companies are striving to rise above their competitors in order to secure top talent in an ever-growing candidate-driven market. 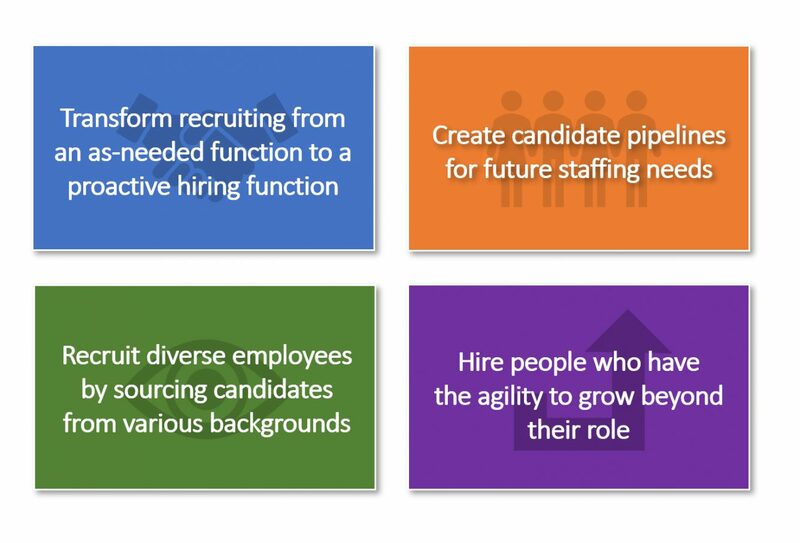 Today, you need to know how talent acquisition fits within the bigger scope of talent management and what you can do to successfully staff your company with top candidates. Let’s get started by discussing what talent management is and why talent acquisition is so crucial. Then, we’ll uncover five innovative strategies that can help you seek and find stellar candidates to join your company. Now that we have a clear definition of talent management, let’s progress to one of the main tenets of talent management … finding employees. Most companies agree that they want to improve their talent attraction efforts. Take a look at this list of top business challenges according to HR industry professionals. No surprise at what comes first. Some believe that finding the time to implement new acquisition strategies can be challenging, but there’s one simple thing you can do to help attract quality hires and it has to do with company culture. Just ask Tara O’Brien, Talent Recruiter and 22-year talent industry expert. "The biggest change I’ve seen in recent years is that candidates want to know who we are. In more than half of the interviews conducted by our team, interviewees will share that they spent a lot of time on our website and enjoyed getting a feel for what our culture is like through viewing videos of our leaders and customers, watching our 2020 Painted Picture and reading about our company’s people and projects. More and more applicants are trying to determine what it would feel like to be part of our team during the interviewing process." 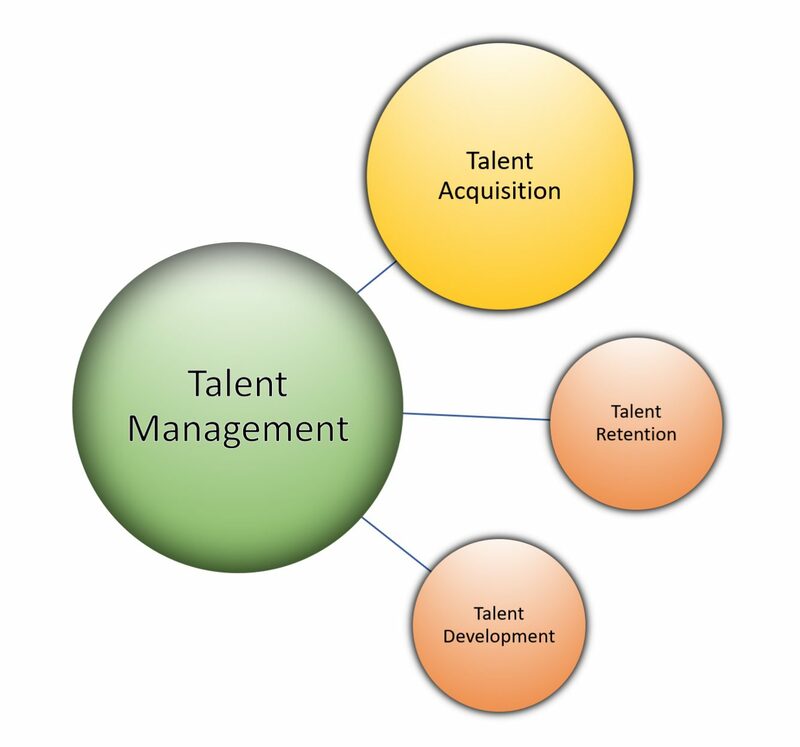 Why is Talent Acquisition Crucial to Talent Management? Talent acquisition is the process of attracting and hiring skilled employees to fulfill a company’s business needs. It is a main tenet of talent management because attracting talent prospects requires strategic planning, not just filling vacancies as they come up. Repeating a very time-consuming hiring process. Recruiting the best talent for your company will ensure that the resources you spent on securing new employees won’t be wasted or negatively affect your schedule, work, and overall business operations. Onboarding new employees who will leave too soon. Training new hires on company processes, policies and culture takes a lot of time. If you hire the wrong candidate, all the time and money spent on training and acclimating them into the company would be futile, particularly if the person leaves within a few months of coming onboard. Increased or repetitive hiring process costs. The whole hiring process is one of the most expensive elements of business. Lots of money and resources are spent on marketing, research, job vacancy ads, skills tests, and criminal background checks. When the wrong person is hired, you’ll end up spending additional time and energy to find a replacement, plus your expenses will double. When it comes to hiring, “recruitment” is another hot industry term. Let’s talk about that for a moment, because sometimes the terms acquisition and recruitment are used interchangeably, but they shouldn’t be and here’s why. Recruitment is about filling vacancies whereas talent acquisition is an ongoing strategy to find professionals, leaders, or future executives for your company. Talent acquisition tends to focus on long-term planning and finding appropriate candidates for positions that require a very specific skillset. One of the major differences between acquiring talent and simply recruiting is focus. Recruitment focuses on the imminent here and now; companies are most interested in filling job openings as soon as possible. They’re less concerned with the “fit” of the candidate or their specific skill sets and ability to fulfill specific roles. Talent acquisition takes a long-term view. Those engaged in acquiring talent are much more interested in finding the best candidate for the job. This means that everything – from skills to future development to cultural fit – is considered when a candidate is “acquired” rather than recruited. These employees are not just stop-gap measures; they’re in for the long haul. Now that we’ve covered the what and why of talent management and talent acquisition, are you ready to learn about what strategies will differentiate your company as a leader in talent acquisition? Here are 5 strategies that can help you acquire top talent! What are three words that best describe your employer brand? What makes your employer brand unique to your business? How do employees define the company’s employer brand? Workforce planning is about developing a proactive approach to talent acquisition and is key to shifting recruiting efforts from reactive to proactive. Businesses working with HR should be the ones responsible for creating appropriate workforce and demand plans related to attrition and growth, with talent acquisition being consulted and involved in the process. When it comes to talent acquisition, the recruiting sources you use can make or break your success rate in discovering top talent. If you leverage the right sources, your company will develop a strong applicant pool with talented individuals who will be more likely to stay on board for the long-term. On the flip side, using ineffective recruiting sources will result in a lower quality of talent that could result in poor performance and higher attrition rates. Your ultimate goal with data analytics is to create a culture based on the insights from the data you’ve collected and how those can help inform more optimal outcomes. Customize your Applicant Tracking System (ATS) to effectively capture and analyze data in a way that allows you to act on what is most critical. Example: job levels, pay rates, city position is located, etc. Make sure these are required fields and mandatory parts of the workflow. Track cost, speed and productivity for designated metrics and set up formulas to obtain quality and meaningful benchmarks. Talent acquisition is an art. Master these top strategies and you will be on your way to painting a masterpiece.